﻿ Is it a good time to invest in UK buy-to-let property? Is it a good time to invest in UK buy-to-let property? Since 1970 there has been a decline in the volume of houses being built in the United Kingdom. 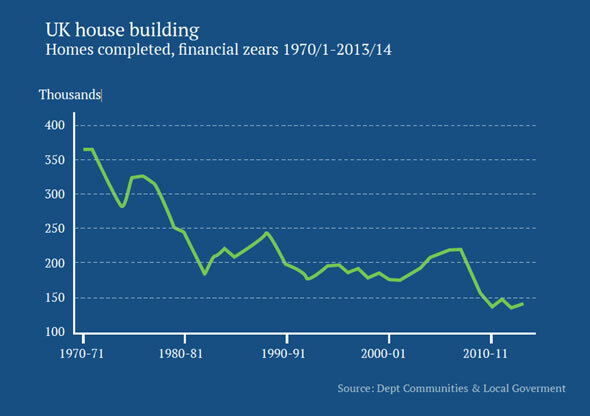 House building peaked in the early 1970s at 350,000 houses per annum. In recent years, the number of completed homes varied between 105,740 in 2012 to 156,140 in 2015. The dramatic shortage of homes occurred as result of the decline social housing being built by government, restrictive planning permission and a concentration of large builders who are motivated to sit on land banks and see prices rise. In 2002, one of the members of the Bank of England’s monetary policy committee, an economist named Kate Barker, conducted a housing market review. Her report concluded that 250,000 new homes should be built each year. Back in 2002, the net inward migration was 260,000 where as it peaked in at 336,000 in 2015. When new births and deaths are factored in, the net annual population growth is hovering around 500,000 per annum. It is easy to see the correlation between the house price growth and population growth graphs. The Chancellor of the Exchequer (Minister of Finance) Philip Hammond confirmed in his autumn statement that the government will invest a generous £1.4billion in 40,000 affordable homes. This would be good for housing supply however - as is often the case with government plans - there is different between policy and what is realistically implemented. It may be difficult is practically achieving their target because builders are profit motivated. Since Brexit, purchase volumes have declined. Particularly from the domestic market with negative sentiment and generally cautious British nature has meant that local buyers have adopted a ‘wait and see’ policy. The free movement of people is a pillar of the European Union. There is the concern that restrictive UK migration policies may result is a lower number of highly skilled migrant workers. This could impact on construction costs, which have already increased as a result of the falling pound. experiencing a skills shortage which is driving up build costs. 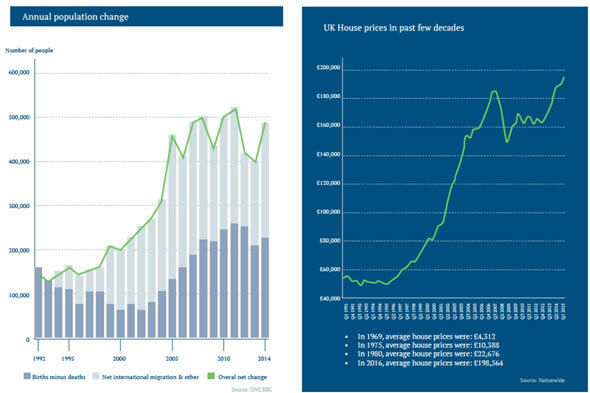 If developers reduce the volume of new starts due to poor sentiment and rising costs, this could exacerbate the housing crisis and result is further rises in UK property prices. The British Pound (GBP) has devalued circa 25% against most currencies since June 2015.
of the £4.3 billion of commercial property acquisitions were carried out by Asian investors. Savills reported “To date in 2016 Asian purchasers have accounted for the highest level of turnover (44%), followed by UK purchasers (22%) and European (16%). ‘A number of foreign investors, particularly from the Far East, Russian and South Africa have viewed the falling GBP as a buying opportunity’. Said One Touch investment director Arran Kerkvliet. UK buy-to-let property investments in Manchester experienced a 22% growth since 2014 according to HSBC. Job creation has attracted young professionals to Manchester with sixty per cent more 25-29 year olds than anywhere else in the UK. In today’s fast moving and transient society, the trend amongst those in their twenties has been a shift in attitudes towards property ownership. Millennials are more focused on usability rather than ownership. 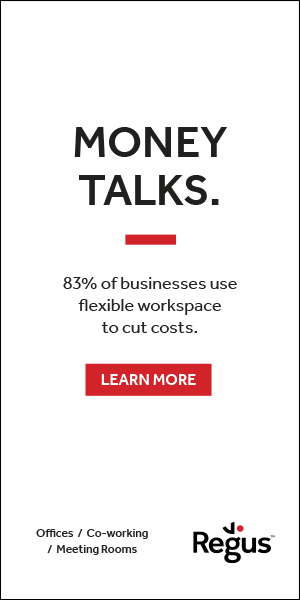 They are more keen to have properties that meet their lifestyle and career mobility in the global village rather than being bogged down by a mortgage. Low wage inflation and rising house prices have resulted in an affordability problem. Earnings multiples are at all record levels with the average house price being more than six time earnings (in the South East of England) according to Santander Bank. UK property funds and had previously confined their investments to traditional commercial property such as office, industrial, retail or even student accommodation investment but recently activity suggests that has changed. M&G Real Estate forward purchasing and financing a £69.3m deal with East London with developer, Telford Homes, to build 150 new private rental homes. LaSalle website confirmed they have completed two direct investments for its UK Private Residential Fund. The assets in Leeds and London comprise 270 purpose-built residential units and were acquired in separate transactions for £55 million. Investors can access the UK property market indirectly through shares, investment funds or joint venture investment UK property development projects. “M&G UK residential property Fund offers institutional investors access to growing UK residential property sector (PRS), with a focus on generating income from purpose-built, professionally managed accommodation blocks. To generate an average local currency total return of at least 8% per annum over a rolling three-year period including a minimum dividend of 4% per annum”. According to the M&G Website. Non-UK resident investors may wish to access the UK market by providing developers with funding through a loan note. A minimum investment of £20,000 is required to purchase loan note which has a first charge the UK property developments. The UK property loan notes run over a five-year period with 8% Net return paid bi-annually.